With training from one of the largest law firms in the world and experience leading in-house legal teams at Fortune 500 companies, his impressive depth of been-there-done-that knowledge enables him to guide clients through the hurdles of commercial and technology transactions of all sizes. Cliff Simpson provides senior legal executive experience to dozens of growing companies in the Houston area and around the country. He enjoys sharing his business-oriented in-house legal experience and consultative, proactive counseling skills to companies who need a practical and reliable lawyer. From product development to multi-tiered distribution strategies, Mr. Simpson has counseled clients of all sizes on every type of commercial and technology transaction. 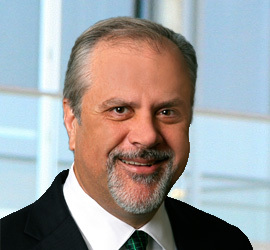 Recent work includes creation of a licensing and distribution strategy for chemical supply companies in a multinational joint venture; managing commercial transactions including joint development and joint marketing strategies for growing software companies; advising and representing large and small companies in disputes involving patents, trademarks, and licensing programs; support for transactions involving acquisition and disposition of company assets; and support and oversight of federal and state government contracting efforts for commercial clients. Mr. Simpson’s in-house corporate career included serving as Managing Counsel (Intellectual Property) at Reliant Energy (now NRG Energy). He also served as Group Counsel for the Consumer Products Group at Compaq Computer Corporation, responsible for legal issues involved in product development and marketing for Compaq’s $5 billion consumer PC business. Also while at Compaq, he served as Division Counsel for the North America Sales and Marketing Division, overseeing legal matters involving sales and distribution strategies and relationships for the region. He began his legal career in Washington, D.C. with the international law firm Venable, Baetjer, Howard & Civiletti, focused primarily on government contracts, licensing, and litigation. In the decade immediately prior to joining Culhane Meadows, Mr. Simpson was a partner at the law firm of Phillips & Reiter PLLC. Cliff and his wife, Kate, have been married for over 25 years and have two grown sons. When not at work, Cliff enjoys the productive tedium of distance running and the hopeful futility of sport fishing.